Live rate means you don't have to provide any pricing for shipping. FS Connect checks the pricing of a shipment directly in UPS' system via API. This way you can always get the right pricing. During the checkout process, you will charge your customers the same amount UPS wants from you. Automatically! 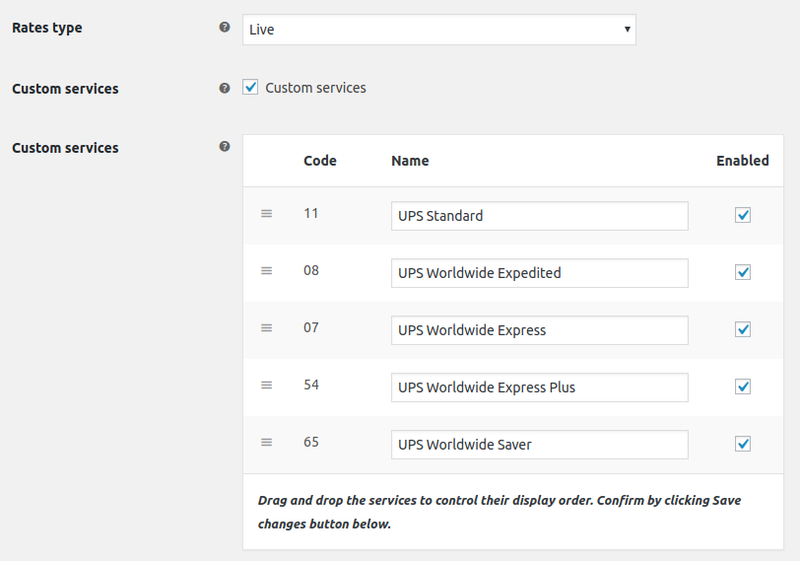 By default, all available UPS services are enabled. You can disable some of them. Mark Custom services checkbox. Next, disable services you don't want to be available in your store.